Hello everyone! I hope you all are doing well! Today I have a new to me subscription box to talk about! I'm sure you all have heard about it! 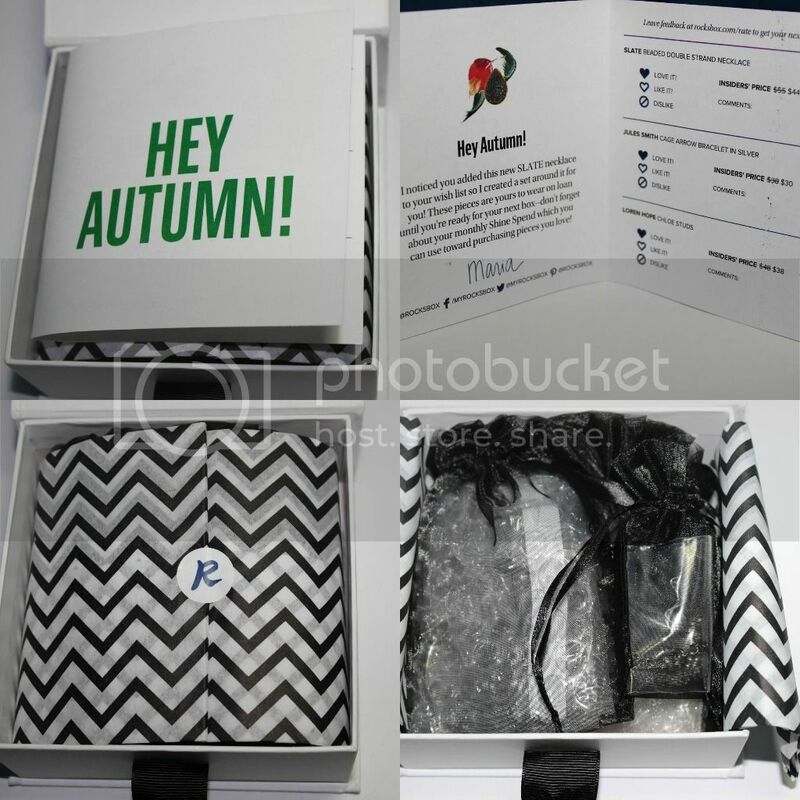 Rocksbox is a monthly subscription that is $19/month. You become what they call a Shine Insider and take a style survey so they can find appropriate pieces for you, then you add jewelry pieces that you like to your Wishlist. You have a stylist who picks pieces for you based on your style as well as based on your wishlist. You can wear each piece as long as you'd like and return the pieces when you're done to get a new 3! You also can return as many the pieces as often as you'd like also! What I think I like is that if you have pieces that you've falled in love with you can keep those pieces and Rocksbox will charge your card only for the pieces you kept, as well as you can buy directly from the website. Each month Shine Insiders also get $10 to spend on a purchase. 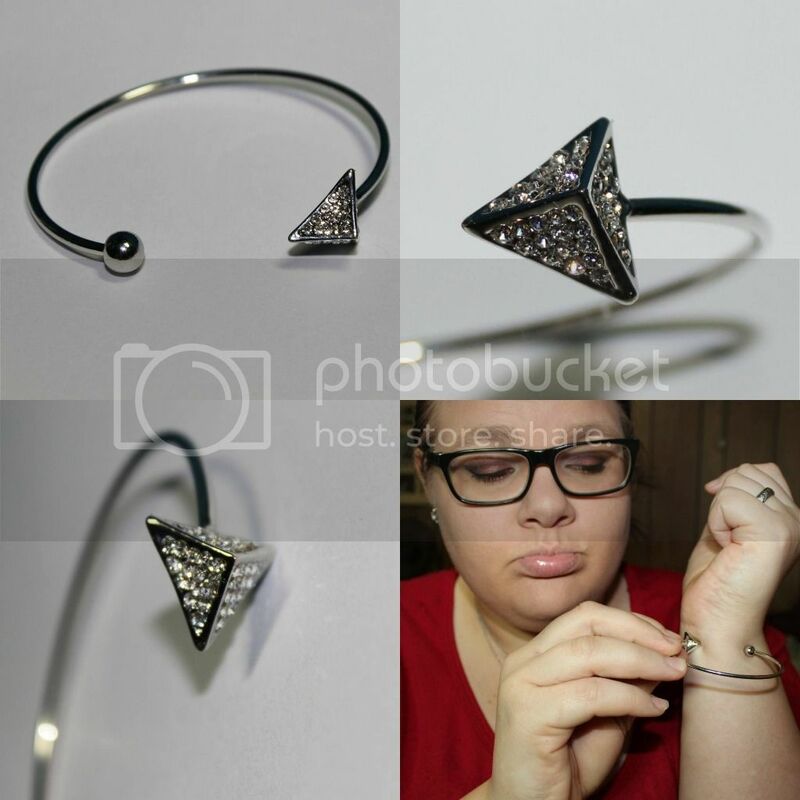 NOW that you know about Rocksbox, let's get into some pictures and opinions! First off, the bow is messed up because my Niece insisted on me opening it for her before I could take the pictures and no matter how hard I tried, I couldn't get the bow to look as gorgeous as it did when it came! Also, I think I've talked to death how in absolutely love I am with the box everything came in. To me, how something is packaged is everything. I really appreciate the time and care they take putting the boxes together, but the sheer thought they put into the presentation just slays me. When you first open the box you get greeted by a card that says Hey (your name)! That. Made. Me. Smile. Inside of the card is a note from your Stylist. (Hi Maria! ), it also tells you what each piece of jewelry your getting as well as their price. On the back is instructions on how to care for your pieces. Very handy to have! I'm also, the only person who keeps the tissue paper or worms that come in boxes. Everything can be re purposed! Inside of the box is three baggies containing your jewelry pieces. I am simply in love with this necklace! I was a bit worried at first about it fitting around my neck, but it has a chain extender on it, so it first perfectly! I wore it where the short strand wasn't too close to my neck and the longer strand wasn't too far down my chest. It can be adjusted to however you'd like to wear it. I really like how delicate this piece is, but at the same time it's a small statement piece. Or well, it's what I consider a statement piece. Each bead just glistens in the light and...ugh I love it. I actually am kind of disappointed in this. While I do love the look of it, it just simply is too small for my wrists. I'm not the biggest bracelet fan because they can be kind of cumbersome as well as when I'm typing on the computer, they can get a bit uncomfortable. However, this piece is stunning. I would totally love to see the "Arrow" on a necklace! That would be gorgeous and fun to wear! When I first saw these my first thought was "Oh lord, these are gaudy!" I usually don't wear earrings this "blingy". HOWEVER, I'm actually really pleased with these. When wearing them, they do not look gaudy at all. They're actually really attractive to wear. They look heavy but they're actually really nice. I was also worried that I would have an allergic reaction to these because I'm allergic to jewelry with nickel in it, but I'm happy to report that I had no reaction! So yay about that. So, my first experience with Rocksbox has been 100% positive! I'm really pleased with this box! I'm pretty bummed about the bracelet, but that's just a part of life. We don't get everything we want. :P I definitely suggest subscribing because I mean, what woman doesn't like playing with new jewelry! Just remember to return it! So! Here's something fun! If you're thinking about subscribing to Rocksbox I have a code where you can get your first box for free! Just use the code auttywblogxoxo You get your first box for free if you use the code 30days from today (March 7, 2015) after that you get 50% off of your first box! Go sign up and enjoy the subscription with me! 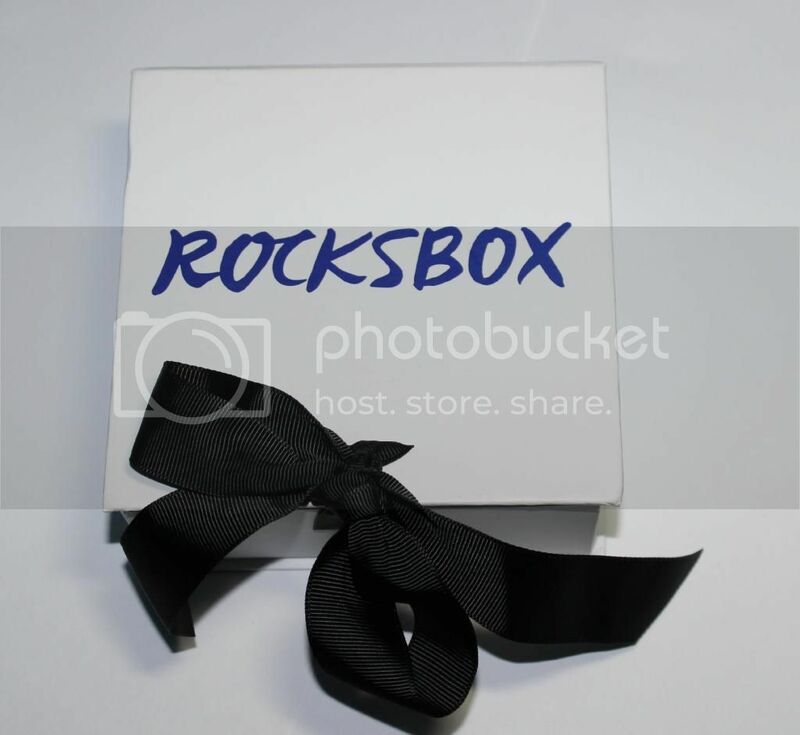 Rocksbox subscription was provided for free via Rocksbox. Never heard of this subscription box but it looks very nice. You got some cute pieces especially that necklace. That bracelet is so cute!! Bummer it didn't fit. I do tend to wear necklaces or earrings more so they don't interfere with typing, but I like bracelets for date nights. It doesn't bother me so much because I know they disinfect and sanitize each piece. The whole borrowing clothes thing is what gets me, that is something I wouldn't be able to do! I'm gutted that I can't keep the necklace and earrings! It is! They should make it into a necklace! I'm the same, I have some cute bracelets but never wear them because they just get in the way sometimes. They're not anything too impressive but they're handmade and pretty in their own way. I do need to start wearing them again!